Punta Mita is a 1,500-acre (6.1 km2) beachfront village located on the north end of Banderas Bay in the Mexican state of Nayarit, about 10 miles (16 km) north of Puerto Vallarta, Jalisco. There is evidence of prehistoric (pre contact) human settlement in Nayarit. On the Punta de Mita peninsula, a hilltop archaeological site known as Careyeros Hill has been dated to circa 800 AD. Punta Mita is at the same latitude as the Hawaiian Islands. It is kept comfortable year round by gentle sea breezes, with average summer temperatures around 85 °F (29 °C), and 75 °F (24 °C) during winter months. Because of its temperate, tropical climate, Punta Mita is a popular but low-key vacation spot. Punta Mita has several residential communities ranging from condominiums and townhomes to private, single-family villas. All of these homes set among a rural Mexican fishing colony town. 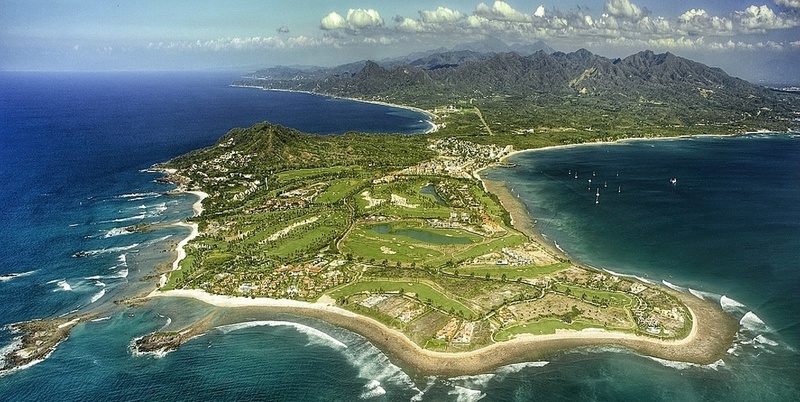 It is also the location of the Four Seasons Resort, Punta Mita as well as the St. Regis Resort, Punta Mita. The Marieta Islands are a 15 minute boat ride from Punta Mita and are a Mexican national park. The nearest airport is Puerto Vallarta (PVR), about a 40 minute drive from Punta Mita.